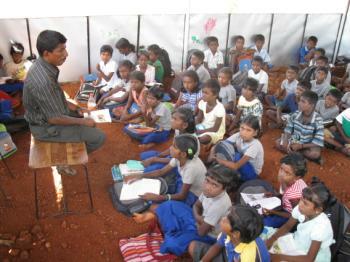 SOS Children's Villages has been working in Sri Lanka for over three decades. Over the years, we have provided emergency relief to thousands of families when violence broke out or when tsunamis hit. Today our social centres provide support to communities across the country. Nuwara Eliya is located in Sri Lanka’s central highlands at an altitude of almost 2,000 meters above sea level. It is one of the most important tea growing regions in the country, and the majority of the population make a living on one of the many tea estates. Nuwara Eliya is also the only district in Sri Lanka where the majority of the population are Indian Tamils, and just 40 per cent are Sinhalese. Sri Lanka’s 26-year conflict displaced almost 400,000 people in the country. Most of them have returned to their home regions since the end of the conflict in 2009, but rebuilding their livelihoods has not been easy. Infrastructure and essential services were largely destroyed, and in many areas, de-mining has not been completed. Those who fled abroad are also starting to return to Sri Lanka. Children who were born abroad often hold no documents to prove their Sri Lankan citizenship. Much work remains to be done for the reintegration of internally displaced people. The north of the country was particularly hard hit by the violence that rocked Sri Lanka for decades, and thousands of families had to flee south, where they found shelter in camps for the internally displaced. SOS Children's Villages Sri Lanka set up temporary care projects for children who were not accompanied by adults, either because they were orphaned during the violent clashes or because they lost sight of their families in the chaos and confusion. We provided medical and psychological treatment for children and made all efforts to reunite them with their biological families. Today, the SOS Social Centre in Nuwara Eliya provides a family strengthening programme to the local community, which aims to support vulnerable families so that children can grow up in a safe and stable home. We ensure that children have access to basic nutrition, health services and education, for example by providing nutritious meals, textbooks, and extra tuition for the children. To help parents improve their situation, we give guidance on income-generating skills, offer crafts classes for women and we assist them in obtaining micro-loans so that they can become financially independent. We also provide medical treatment at the social centre, as well as counselling and psychological support. 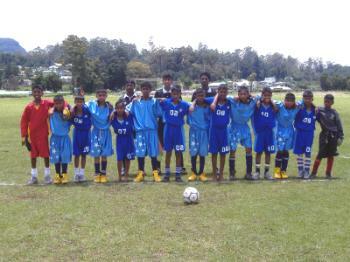 SOS Children’s Village began its work in Nuwara Eliya in 1984. Today, ten SOS families can provide a loving home for up to 100 children from the region. In each family, the children live with their brothers and sisters, affectionately cared for by their SOS mother. The children go to the SOS Kindergarten together with children from the neighbourhood, ensuring that they make friends and are integrated into their local community. They then go on to attend local schools together. Once the children reach adolescence they usually move on to the SOS Youth Programme. While they attend higher education or vocational training, they live in shared houses and are supervised and guided by a qualified SOS counsellor as they learn to live independently, take responsibility and increasingly make their own decisions. There is also a home for retired SOS mothers next to the children’s village.